Although Ford of Europe loses money on passenger vehicles, so far the automaker has only indicated it will drop the C-Max (shown). Ford revealed an eye-catching figure in January: the U.S. automaker has earmarked 90 percent of its global capital allocation, or future spend through 2023, for "trucks and utilities," meaning commercial vehicles, pickups and SUVs. Ford’s former plan called for 64 percent of the spend for 2016-2020 to be dedicated to those models. "That’s a big change," Jim Farley, Ford’s president of global markets, said at the Deutsche Bank Global Auto Industry Conference in Detroit last month. Ford’s F-150 pickup is the company’s profit engine. In 2018 the company sold more than 1 million of them for the first time, largely in North America. It has also committed to ending sedan production there. The focus on commercial vehicles and SUVs is now also being applied to Europe in a bid to increase the share of Ford’s only profitable vehicles in the region. In a rare example of company openness, Farley last year revealed that Ford of Europe achieved a 13 percent profit margin in the second quarter with its Transit range of vans. Together, the Transit range, the Ranger pickup, Kuga compact SUV and “selected imports” had a profit of more than 200 percent during the second quarter last year, but that wasn’t enough to prevent Ford from losing money during the period, Chief Financial Officer Bob Shanks said on the Q2 earnings call. Losses incurred by its traditional car range also caused Ford’s European arm to report losses in the third and fourth quarters and for the whole of 2018. Europe needed a “redesign” Farley said. Despite the company’s strength in high-riding vehicles in the U.S., Ford is surprisingly under-represented in Europe as just 27 percent of the passenger vehicles it sold in the region last year were SUVs, according to JATO Dynamics. SUVs accounted for 35 percent of overall European sales last year. The Kuga was Ford’s top-seller at 153,542, followed by the EcoSport small SUV, which grew 78 percent to 111,856. The imported Edge midsize SUV, on the other hand, has been a flop, with 2018 sales of just 9,527, down 41 percent. Ford is working on a number of new SUVs, including an expected replacement for the EcoSport due later this year, while a new Kuga will follow the debut of the identical Escape scheduled for launch in the U.S. in 2019. Expect a seven-seat Kuga variant to replace the Edge in Europe, too. Ford of Europe President Steven Armstrong promised “another nameplate” within its SUV lineup this year, while Ford’s “Mustang-inspired” electric car due in 2020 is an SUV. “Ford is finally ramping up its European SUV offerings after arguably being late to the party,” Tim Urquhart, principal analyst at IHS Automotive, told Automotive News Europe. Ford’s profitable van sales, meanwhile, were strong at 380,900 in Europe last year. The business case for Ford’s commercial vehicles was further strengthened by news last month that in Europe the automaker will build midsize vans for Volkswagen brand, while VW will build compact vans for Ford as part of their new collaboration. Ford will also build a pickup for VW. Ford said the move would generate synergies for the company worth $500 million by 2024, when both the pickup and the new vans would be on sale. The big question is how bold Ford is prepared to be in addressing its money-losing cars in Europe. In July, Shanks told investors that “the low-performing part of our portfolio represents a majority of our volume, revenue and capital deployed in the region.” That means Ford loses money on its core models -- the Fiesta small car and Focus compact. 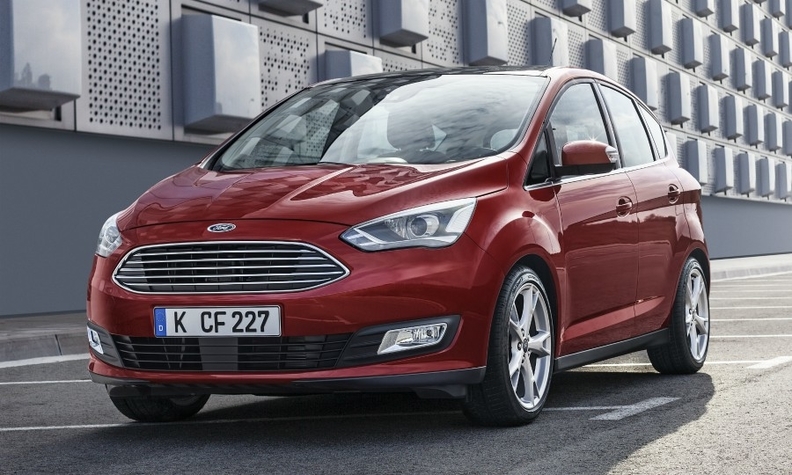 So far, however, Ford of Europe has only indicated it will drop its C-Max compact minivan. Instead, it kicked off another round of cost-cutting, including the axing of thousands of jobs. In Europe, Ford sells as many Fiestas as it does SUVs. Giving up its best-selling model, no matter how unprofitable, could be a decision too far.